We need look no further than the first verse in the tenth chapter of Luke for an example of minor manuscript differences. A great number of manuscripts that are very old and reliably used for translation state that Jesus sent out seventy others to go into the towns on His way to Jerusalem. But then many others that are very old and reliably used say that it was “seventy and two.” Either way, the gospel message is unaffected by the number. In the same manner in which Jesus sent out the twelve apostles in chapter 9, He now sends out this group, telling them to go now and as they are – just as He told the twelve. The statement that He was sending them out as sheep in the midst of wolves referred to the persecution that they were bound to encounter in some places. But in addition to the urgency of the mission, it could be that the command not to carry any possessions with them – including a money bag – had also to do with the dangers of being robbed and beaten. Such could happen even today for a pair of shoes. Jesus tells them that if people receive them in a town, they are to eat what is set before them. This would be important for Him to say to them, since they would likely encounter Gentiles, as well as Jews. They were to heal the sick, as Jesus had given them authority and power over demons and disease as well. But regardless of whether they were well received or not, they were to tell the people who the kingdom of God has come near to them. Wherever they were not received, they were to “shake the dust” from their feet – and tell the people they were doing so. 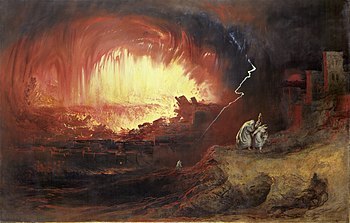 He tells them that it will be better for Sodom and Gomorrah than for those who reject them which, one supposes, could be somewhat metaphoric. But He also says that Tyre and Sidon would have repented if they had seen the wonders He performed in Bethsaida and Chorazin, suggesting that there had been some rejection in the latter two towns that we are not told about in any of the gospels. He also includes Capernaum in these “curses” for lack of faith. 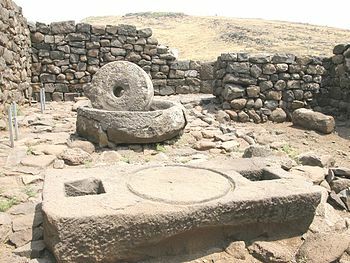 Capernaum is just ruins now, some ruins have been excavated at Chorazin, but the location of Bethsaida is not agreed upon by all, so complete was its extinction. Please note: I did not design the reading plan that I am following in my blog. All of my comments in this blog, however, are solely my responsibility. When reading ANY commentary, you should ALWAYS refer first to the scripture, which is God’s unchanging and unfailing word. Reading schedules, as well as a link to the site where you can get the reading plan that I’m currently following for yourself can be found on the “Bible Reading Schedules” page of my website at http://graceofourlord.com. Very wise advise sir! I very much like your devotion displayed here on your blog. Thanks for stopping by my blog and joining the conversation as well! Enter your email address to follow the blog here and receive notifications of new posts by email. Psalm 22 - Why Have You Forsaken Me? Psalms 48 - Great Is the Lord!